President of the Fulton Rotary Club, Rev. David Cramer, left, hands a check to Fulton YMCA Director Elizabeth Fadden. The money, raised by the fund raising efforts of the Fulton Rotarians, will be used to support several weekly day camperships for children who do not have the resources to pay the fees for the summer day camp programs. About twenty-five per cent of the children who attend the YMCA day camp are in need of scholarship aid. Average daily attendance for the day camping program is about 80 children. 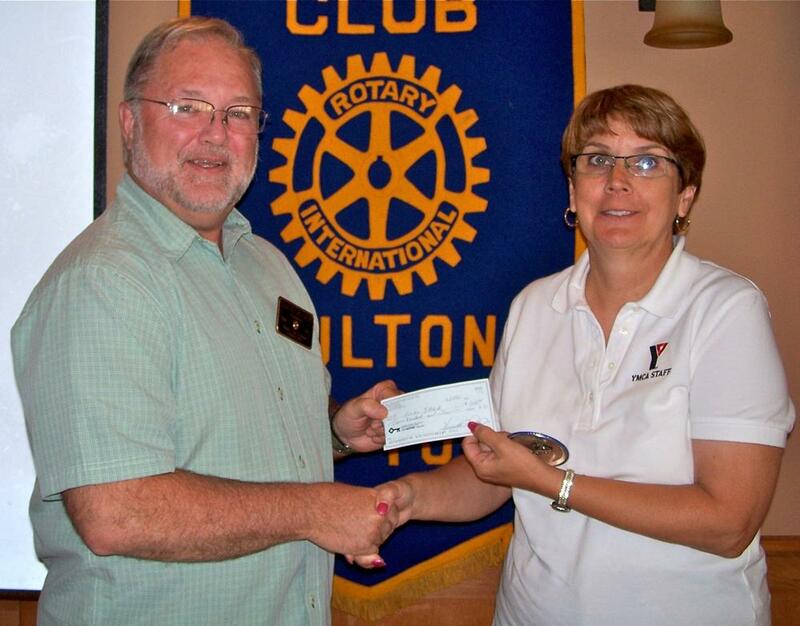 The Fulton Rotary Club also helps the YMCA with several other children's programs. The "Learn To Swim" program, offered during spring vacation, has been funded by the Rotarians for over 40 years.